3-day-old baby of Bharti is suffering from respiratory disease. 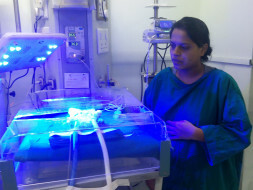 She is admitted to the neonatal ward and would require 2 to 3 months of hospitalisation to go home. She was moved to the intensive care unit immediately after birth. Doctors have recommended ventilator support to save her. 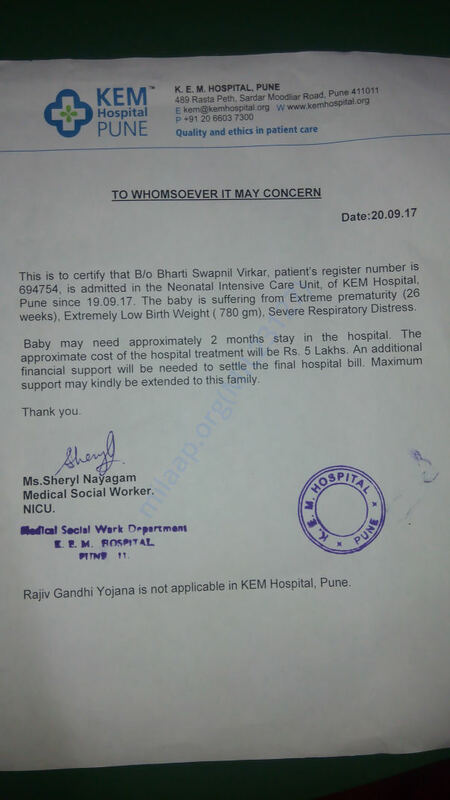 Her family needs to arrange 5 lakhs to continue her treatment. Funds raised through this campaign will help this newborn to stay alive. Bharti's baby passed away last week (15th November). 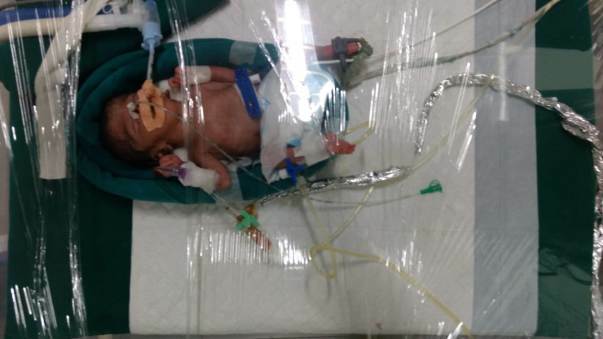 Our hearts go out to this brave baby who endured so much pain and fought so hard for her life but due to the severity of his condition she was unable to make it. Your timely support ensured that she received the best medical care. Funds from the campaign will be utilized for bills incurred by the family for treatment. The family is grateful for all the care and support you’ve shown. The past few days have been the most difficult ones for the family. We hope they find strength in this time of grief. May the baby's soul find peace. Please keep the family in your prayers. Here is an update on Bharti's baby. I am glad to let you know about the baby's progress. She is doing well. She is feeding on 2ml mother's milk, every 2 hours. She is stable and requires no ventilator support. She is on CPAP support for breathing. Continue to pray for her. Your blessings and prayers are much needed. Thank you and may God bless you!